Today we present the first fact sheet from the Smart Electricity Planning Report. This fact sheet focuses on the benefits of keeping electricity affordable – especially for those who need it most. durable and resilient in the face of ongoing global change. South Africa’s poorest, while also helping to create jobs. Reduced air and water pollution. Access to refrigeration for storing perishable foods ensures safe, nutritious, diverse food options. Access to clean drinking, and hot water. Women manage household budgets, collect wood, buy fuel, and are responsible for cooking, cleaning, heating and childcare. These all have energy implications. Cooking indoors with wood and paraffin exposes people, particularly women and children, to respiratory diseases. Indoor pollution is expected to result in the deaths of 1.8 million children and 1.7 million adult women in sub-Saharan Africa between 2000 and 2030. Access to electricity can free women up from the labour-intensive and unhealthy nature of cooking and heating homes with these fuels, allowing them to use their time more productively elsewhere, and relieving them of the burden of chronic ill health, lost earning potential and stunted development. Electric lighting means more time for reading, studying and working every day. could access the Internet from home, with over half of households (64.8%) having no access at all. 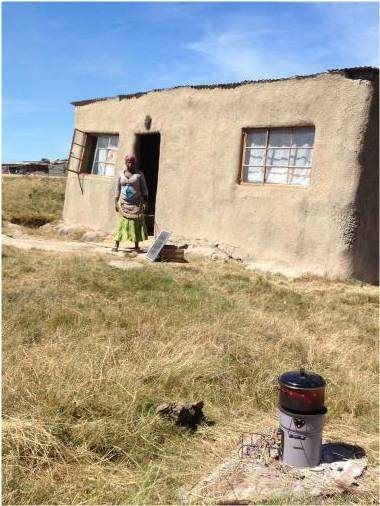 Access to fuel-efficient cooking technology, such as solar cookers or solar water heaters, provides alternatives to using wood or charcoal as an energy source in homes. This prevents deforestation, linked with wood harvesting and charcoal making, as well as the associated loss of plant and animal life that is dependent on forests for survival. It preserves the critical environmental ‘services’ provided by forests, such as buffering against flooding, erosion, and loss of fertile soil. Look out for next week’s fact sheet: Leaner and Greener – energy efficiency and conservation. This entry was posted in Energy, Energy Efficiency, Project 90 and tagged Electricity, Energy, Energy Efficiency, Project 90, Renewable Energy. Bookmark the permalink. I am very excited about your project and would like to add that if you need more information about the cooking ideas for the women, contact a small non profit organisation (namely Masithandane in Sedgefield Western Cape South Africa) making a huge difference in their town by supplying a type of cooker for the ladies to use in any situation. Most of the employees are nurses caring for the aged and those with aids, and other dreaded ailments like sclerosis they have been involved with the community for a long time and have the knowledge with the education. Hi Leishe, thanks for the information, its great to hear of other projects around the country. Do you have a contact person for me?